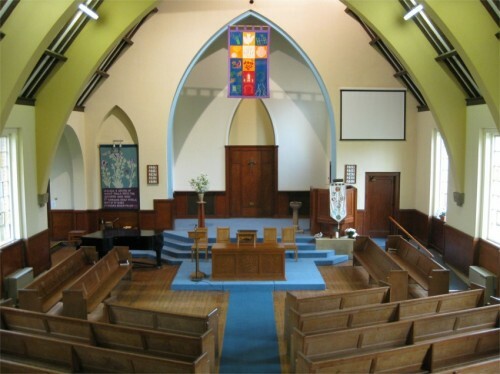 Weoley Hill United Reformed Church | Where we are. Home > Contact Us > Where We Are. The No. 39A buses stop on Middle Park Road at the intersection with Weoley Hill. For up-to-date information check with IGO Buses. These buses do NOT run on Saturdays or Sundays. Alternatively the church is a short walk up Middle Park Road from A38 Bristol Road, where the 61 & 63 buses stop near the junction with Middle Park Rd and Bournville Lane. Check times with National Express West Midlands. The X21 bus also comes near the church stopping in Weoley Castle Rd at the junction with Gregory Avenue or in Weoley Park Road near the junction with Weoley Hill.